Each December, Pantone announces a new colour for the upcoming year, based on trend-forecasting research. This year they have chosen Pantone 18-3838, otherwise known as, Ultra Violet. 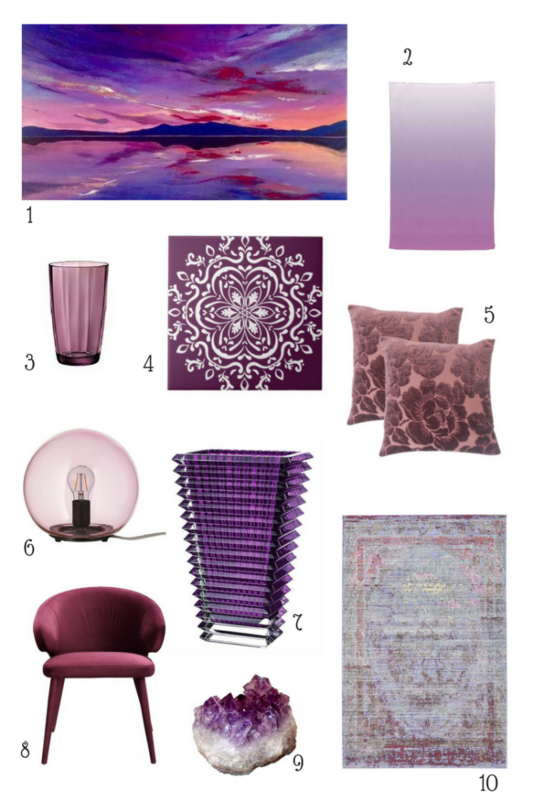 Described by Pantone as a "provocative and thoughtful purple shade," this hue and those similar, have often been associated with individuality, non-conformity, and artistic brilliance (just think of the association with Prince and Jimi Hendrix!). However, the company also suggests that there is also a spiritual reference, as well as an association with the cosmos, which gives this colour a complex and mysterious quality. "We are living in a time that requires inventiveness and imagination," explains Leatrice Eiseman, Executive Director of the Pantone Colour Institute. "It is this kind of creative, inspiration that is indigenous to Pantone 18-3838 Ultra Violet, a blue-based purple that takes our awareness and potential to a higher level. From exploring new technologies and the greater galaxy, to artistic expression and spiritual reflection, intuitive Ultra Violet lights the way to what is yet to come." This colour is sure to pop up everywhere this year from fashion to decor! Wondering how to incorporate this colour into your home? Check out my suggestions below. Awesome! Yes, it's a beautiful colour!